Ragus driven Ecurie Ecosse GT3. Ragus continued their hugely successful partnership with the famous Ecurie Ecosse racing team during the 2014 season, and following the team’s victory in the Avon Tyres British GT Championship, the legendary Scottish team invited Ragus to sample their championship winning BMW Z4 GT3 at Donington Park in Leicestershire. Ben Eastick kindly accepted the team’s offer, and joined the current crop of GT drivers including BMW factory-supported racer, Alexander Sims, Oliver Bryant, Will Plant, Phil Keen and John Minshaw to take a turn behind the wheel of the mighty BMW GT machine that has been blazing a trail around the tracks of Britain and Europe this year. 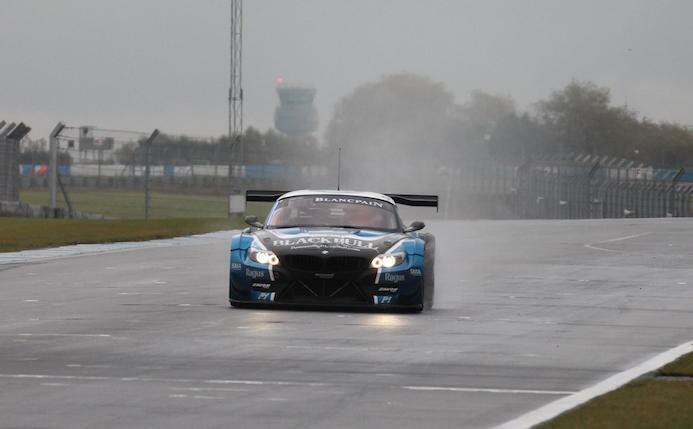 Driving the BMW Z4 GT3 on a wet track for the very first time, Ben showed great talent behind the wheel and acquitted himself well in tricky cold and damp conditions. Despite the weather being far from kind for Ben’s drive he drove professionally and clocked a lap time within two seconds of the bench mark set by Alexander Sims. Ragus add a touch of glamour to the pit lane. Slippery conditions for Ragus’ Ben Eastick. With the 2014 GT racing season now at an end, Ragus are able to reflect on another successful on-track association with Ecurie Ecosse. 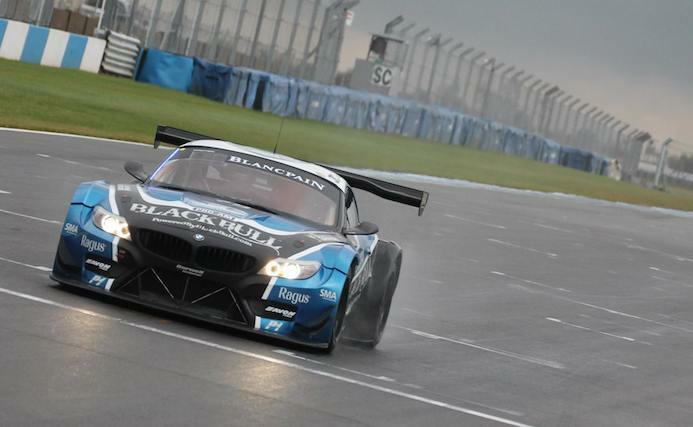 Driving the BMW Z4 GT3, Marco Attard won the Drivers’ crown in the Avon Tyres British GT Championship, with Alexander Sims placed third in the overall standings. Barwell Motorsport, Ecurie Ecosse’s racing partner, was placed third in the Teams’ Championship, while Alasdair McCaig, Andrew Smith and Oliver Bryant took third position in the Pro-Am class of the European-based Blancpain Endurance Series.